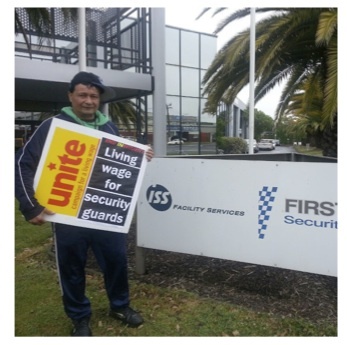 INSECURITY: fightback against bully bosses at security companies. 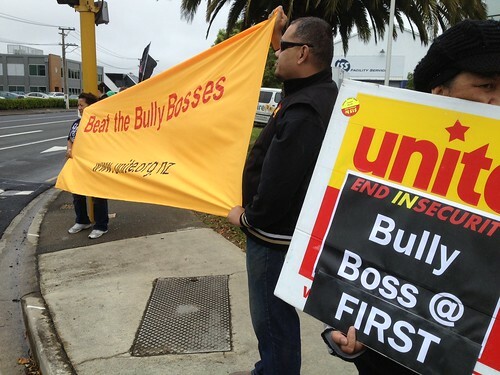 Unite Union is leading the fightback against bully bosses at security companies. As part of our campaign we will be picketing outside First Security, ADT-Armourguard and Rush Security offices this week. Please come and join us if you are not working and together we can improve working conditions for all security guards! Meet 9am @ Unite Union, 6 A Western Spring Rd, Kingsland. Why are security workers treated so badly? 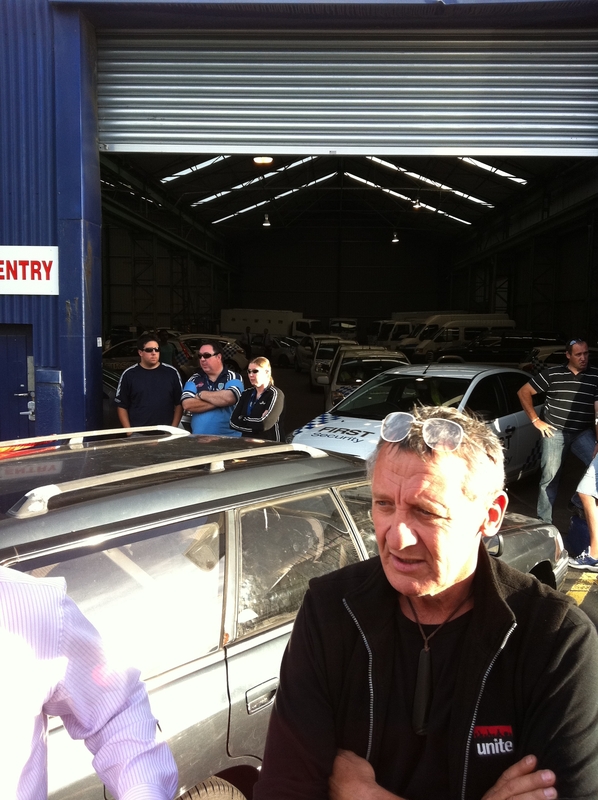 -Because security companies are at war with each other and workers are caught in the crossfire. -These companies complete viciously to undercut each other for contracts- they compete to pay the lowest wages and provide the nastiest conditions of employment so they will win contracts. -The workers pay the price each hour they work. These companies prefer to bully their workers rather than demand the government clean up the industry.